The Daily Prophet, the enchanted newspaper from Harry Potter lore, is no longer the sole source for magical moving printed photos. On Tuesday, Lifeprint Products Inc. unveiled the official Harry Potter Magic Photo and Video Printer as the latest edition in its line-up of connected handheld printers. The device is available now for pre-order through Amazon for $149.99, with wider availability through traditional and online retailers starting on Oct. 22. 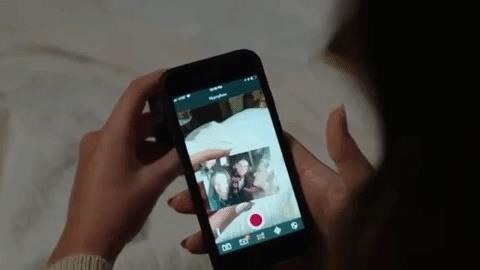 Lifeprint's product is similar to the connected AR printers from Prynt and the online AR photo printing service PhotoBloom AR in that it enables users to embed videos into photos that are viewable through a companion mobile app for iOS and Android. 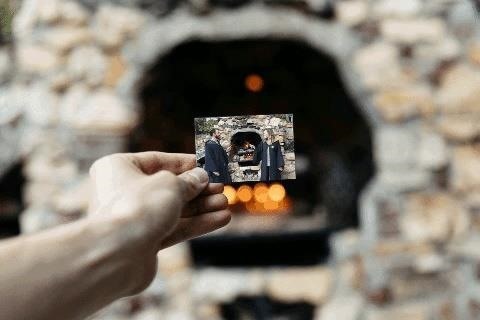 However, as the only AR photo printer with a direct connection to The Boy Who Lived, the Harry Potter Magic Photo and Video Printer has a few more tricks up its sleeve. 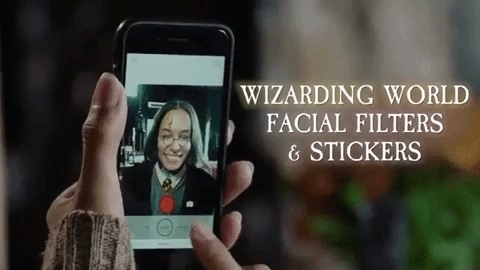 For instance, users can apply AR face filters that turn people's faces into Death Eaters, or adorn them with the charming scarves of Hogwarts students. An included photo editing feature enables users to touch up their photos or add stickers to the scene. "As a huge Harry Potter fan, partnering with Warner Brothers Consumer Products to bring the magic of moving photos to Harry Potter fans around the world is really a dream come true. We can't wait to get them in your hands," said Robert Macauley, co-founder of Lifeprint, in a statement. The Bluetooth-connected printers are about the size of an external battery or hard drive and output 2-inch by 3-inch prints with adhesive backing. 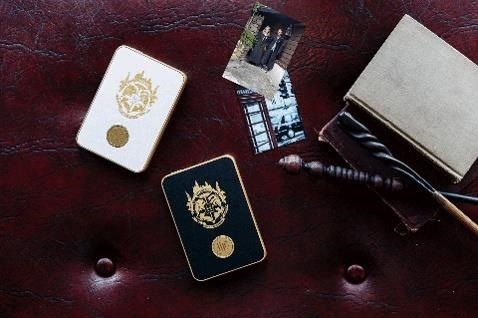 Available in black or white, each printer comes with four medallions, representing the houses of Hogwarts, which can be affixed to its outer shell. While optimized for a range of current smartphones (iPhone 7, 7 Plus, 8, 8 Plus, and X, Samsung Galaxy S7, S7 Edge, S8, S9, and S9 Plus, and LG G7 ThinQ and V35), Lifeprint still encourages anyone with devices running at least iOS 10.2 or Android 4.4 KitKat to give it a try. For the wizarding franchise, augmented reality fits like a sorting hat, particularly since the technology can give seemingly magical powers to us muggles. Warner Bros. has also licensed the franchise to Niantic for a location-based AR game called Harry Potter: Wizards Unite, which is expected to arrive before the end of the year. 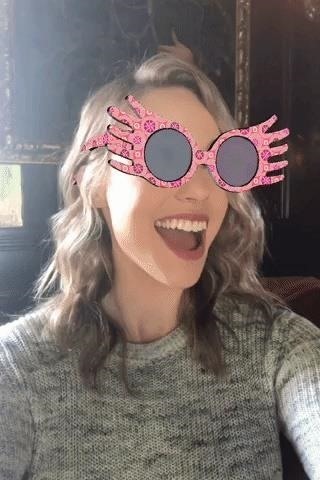 In July, Snapchat celebrated Harry Potter's birthday by paying a tribute to the franchise with a 3D Bitmoji Lens. 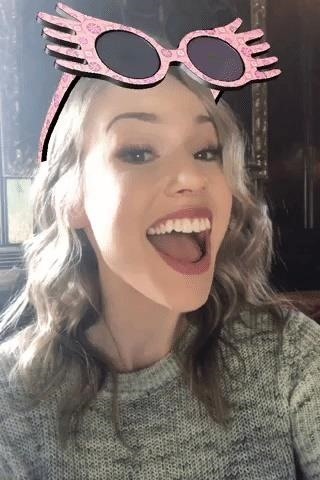 Although the image recognition-based AR experience fits perfectly within the context of Harry Potter's world, it's also exactly the kind of AR experience that other mainstream brands could benefit from in term of brand promotion. The latest versions of ARKit and ARCore toolkits support image recognition (with Apple even adding object recognition to ARKit 2.0), and Facebook's AR platform offers similar capabilities. Now that practically any poster or photo can come alive in augmented reality, does the wider proliferation of AR dull the magic? Hopefully not. This printer works like magic. I didn't imagined about such thing before. Great invention and this helps to keep our best memories in hard copy. Thanks a lot!